Team VFC’s Frank Corral III takes on tough up-and-comer Chris Graham and Team VFC’s John Gonzales II faces Nick DeSouza in a much anticipated rematch! We do not currently have any active specials. 2018 was an exciting year for Team VFC! Our fight team competed all over the state in both the Professional and Amateur circuits in various disciplines, including: MMA, Muay Thai, and Boxing. Check out our fighters in action above! Check out our partner in all things combat sports! Interested in trying a class? If so, please fill out the Guest Waiver on the next page! Please note that all fields must be filled out completely and accurately on the Guest Waiver page. All Guests must be at least 18 years of age or accompanied by a parent/legal guardian over the age of 18. Guests must pay a Mat Fee upon completion of the Guest Waiver. Click “I Agree” to open the Guest Waiver form. Price will not increase for members who remain current and in good standing at time of renewal. Private, small group, and corporate self-defense instruction available. Small group and corporate rates depend on class size. Membership Gift Certificates are available! If you would like to purchase a Gift Certificate for a friend or a loved one, you can now do so entirely online! Simply click the button below, choose the program in which you would like to purchase a membership gift certificate for, fill out some basic information, and check out! Team VFC's Sterling “Money” Ingram (undefeated in Amateur Boxing and Amateur MMA) won the UCA Super Middleweight Title in impressive fashion, as he defeated the former champion DJ Vargas. Both fighters competed in front of their hometown crowd and this exciting bout did not disappoint! Ingram is already back in the gym and looks to remain undefeated in his next bout this May. Team VFC's Marqus Blevins (UCA Super Cruiserweight Champion) took on the UCA Super Heavyweight Champion in a Heavyweight Title defense. Though we did not get the W on this one, Blevins impressed and put on an amazing show in this fight. It came down to a razor thin split judge’s decision, and the bout could have easily gone either way. Blevins is already back in the gym preparing for his next bout this May, and hopes for a rematch against Dubianksy in the future. Team VFC's Erick Blue made his fighting debut against the very tough Norberto Cano. Though it was his first fight, Blue impressed the crowd by fighting like a true seasoned boxer. His movement and technique was very sharp, and though the judge’s didn’t see it our way this time, Blue put up an excellent fight. Blue is back in the gym preparing for his next bout this May. Result: Ingram def. Gonzalez via TKO in Round 3. Team VFC's Sterling “Money” Ingram (undefeated in Amateur Boxing) impressed in his MMA debut with a win over a very tough opponent, securing a referee stoppage due to strikes (TKO) in the third round. Ingram looks to compete again - whether MMA or Boxing - very soon and is already preparing for the next opportunity to showcase both his fighting, and “flossing”, skills. Result: Rosaroso def. Jacinto via RNC at 1:28 in Round 1. Team VFC's Denzel Rosaroso impressed in his Tachi Palace Fights promotional debut with a dominant win over his opponent, finishing the fight with a rear naked choke less than a minute and a half into the very first round. Rosaroso looks to step back into the cage very soon and is currently preparing for whatever opportunity may come his way next. "Wreck-It" Ryan Ballin vs Troy Butler Jr. Team VFC's Ryan Ballin put on a fantastic performance in his Amateur MMA Debut against the more experienced Troy Butler Jr. This fight was an absolute war, with both fighters consistently trading solid shots and dropping each other throughout each round. Unfortunately, it didn't go our way this time, but it was a hard-fought battle and Ballin is already back in the gym preparing for the next opportunity to step into the cage. On Saturday, August 11th, 2018 Team VFC competed at the Battle of the Dojos in Hanford, CA. We placed high in nearly every division for kata and point sparring. We had some hard fought battles, but Team VFC earned high marks in every event! Team VFC's Tora Do Karate students left motivated and ready for their next competition. Team VFC's Diamond "The Wraith" Templeton took on Muay Thai standout Jacob Ycaro on only 11 days notice at Dragon House 29 in San Francisco, CA. Although the fight may not have gone our way, Templeton put on a fantastic performance in a hard-fought battle and is back in the gym preparing for the next opportunity to get back in the cage. Coen Lewis (13) poses for a celebratory photo after winning 1st Place in his division for Sparring. Lewis went on to compete for Grand Champion against older and higher ranked competitors. This was Lewis' first competition. Lewis is already training for the next competition. Natalie Cruz (8) "tastes gold" for the first time after winning 1st Place in her division for Sparring at what was her first tournament. Cruz competed against older and higher ranked students. Cruz is excited for the next competition. On Saturday, July 14th, 2018 Team VFC traveled North with thirteen students to compete, in what was for many of them, their first tournament. We placed high in nearly every division for kata, point sparring and continuous sparring. We had some hard fought battles, and we even had a student compete for Grand Champion! Team VFC's Tora Do Karate students left motivated and excited for the next competition! Team VFC's Sterling "Money" Ingram poses with teammate/coach Marqus Blevins (Undefeated UCA Heavyweight and Super Cruiserweight Champion), teammate/coach Diamond Templeton (Pro-MMA Fighter), and coach D Womack (VFC Owner) following his win. Team VFC's Sterling "Money" Ingram remains undefeated after his most recent UCA Boxing bout in Sacramento, CA against Gerardo Garcia. This was a great fight, with fantastic performances put on by both fighters. Ingram looks to work his way up the UCA ladder and hopes to get right back in the ring soon. This was the first BJJ tournament that three of the four Team VFC competitors have ever participated in (Templeton, Rosaroso, and Ballin made their competitive BJJ debut at Grapple for the Cure X). Templeton, Rosaroso, Garcia and Ballin practice Royce Gracie Jiu Jitsu under black belt Tosh Cook at Valley Fight Club in Hanford, CA. Team VFC's "Florinda's Finest" Frank Corral III took home the victory via a second round TKO, impressing in his PAK Fights promotional debut. Corral looks to step back into the ring soon and is excited for his next challenge. Team VFC's John "The Messenger" Gonzales put up a great fight against a tough opponent. Although it may not have gone our way, John solidified his talent and heart by leaving it all in the ring and fighting a close, hard-fought battle in true warrior fashion. Team VFC's Marqus "Sneaky B" Blevins remains undefeated and is now both the UCA Heavyweight Champion and the UCA Super Cruiserweight Champion. Blevins becomes the first and only UCA fighter to hold two championship belts in two different weight classes at the same time. Team VFC's Sterling "Money" Ingram impressed in his UCA promotional debut with a TKO victory over his opponent. Ingram looks to climb his way up the UCA rankings and hopes to earn his place as a potential title contender in the future. Team VFC's Diamond "The Wraith" Templeton took home the victory by way of Rear Naked Choke in the very first round. Templeton looks to continue his winning streak and get back into the cage very soon. Team VFC’s Undefeated “Florinda’s Finest” Frank Corral III faces Elite Muay Thai Santa Maria’s Chris Graham in what is sure to be an explosive fight between two tough, young, and hungry fighters! This bout goes down in Fresno, CA on May 4th, 2019! Team VFC’s John “The Messenger” Gonzales II once again will share the ring with Savage Martial Arts’ Nick DeSouza in a much-anticipated rematch! Both fighters will be looking to avoid the judges’ scorecards in this exciting rematch in Fresno, CA on May 4th, 2019! Team VFC’s undefeated Sterling “Money” Ingram, the UCA Super Middleweight Champion, is set to face tough lightweight contender Gladmir Jacinto at VFS MMA 4. Team VFC’s Undefeated Denzel Rosaroso will face Laren Cook at VFS MMA 4. Team VFC’s “Wreck-It” Ryan Ballin will face the Academy of Martial Arts' Thomas Melford at VFS MMA 4. Team VFC’s Marqus Blevins, the UCA Super Cruiserweight Champion and former UCA Heavyweight Champion, is set to make his MMA debut against Ozan Cay at VFS MMA 4. Team VFC's Sterling "Money" Ingram looks to remain undefeated as he faces Dethrone’s Gladmir Jacinto in an explosive lightweight showdown at VFS MMA 4 on May 11th, 2019 in Reedley, CA! Team VFC's undefeated Denzel Rosaroso faces tough up-and-comer Laren Cook in an exciting featherweight bout at VFS MMA 4 on May 11th, 2019 in Reedley, CA! Team VFC's Ryan Ballin will share the cage with the Academy of Martial Arts’ Thomas Melford in an explosive welterweight bout at VFS MMA 4 on May 11th, 2019 in Reedley, CA! Team VFC's Marqus Blevins (undefeated in Muay Thai), the UCA Super Cruiserweight Champion and former UCA Heavyweight Champion will make his MMA debut against Ozan Cay in an explosive light heavyweight bout at VFS MMA 4 on May 11th, 2019 in Reedley, CA! We aren’t currently offering any specials. Check back soon! Follow us on Social Media for exclusive limited time specials, training footage, news, event announcements, and more! We draw upon the expertise of all of our coaches and instructors for our MMA program, as we believe that not one individual can be an expert in all types of fighting or combat. WE STRIVE TO PROVIDE PEOPLE FROM ALL WALKS OF LIFE WITH THE TOOLS THEY NEED TO SURVIVE AND EXCEL. Valley Fight Club was founded in 2005 by D. Womack. With a major influence from his grandfather, 5th degree JKA Judo black belt Shihan Nakaigawa, and his extensive background in Japanese Karate, Krav Maga (Israeli Military Self Defense), Law Enforcement Weapons Training, and Full Contact Competitive Fighting, D. Womack has shaped the mission of Valley Fight Club to that of a reality based training facility. We do not believe that one instructor can be an expert in all types of fighting so we draw upon the experience and expertise of 13+ independent professionals and are still growing! We are an established member of CSAC (California State Athletic Commission), CAMO (California Amateur Mixed Martial Arts Organization, IKF (International Kickboxing Federation) and USA Boxing. 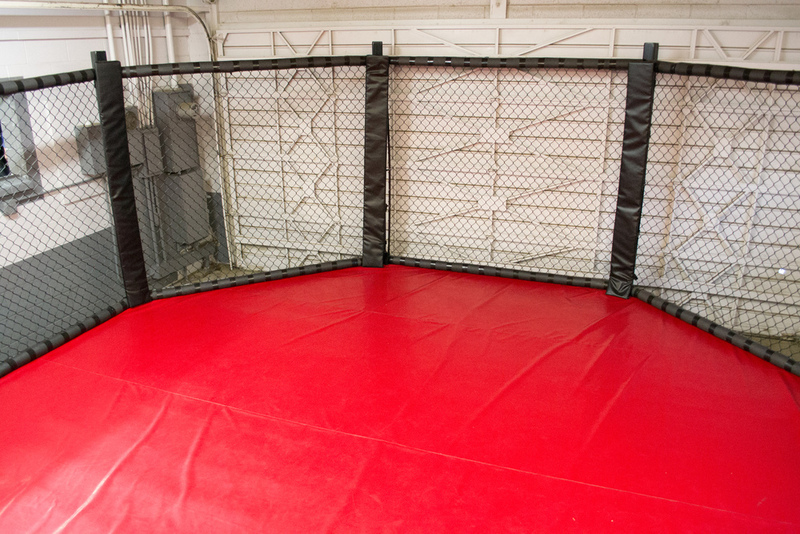 At Valley Fight Club, we respect all traditional and non-traditional fighting and self-defense systems. We offer extensive programs for children, young adults, and adults. Do I need training experience to become a member? Absolutely not! We welcome members from all walks of life and experience levels. Will I need specific training gear? Any required or needed equipment for each class can be found on each class page. We also sell any required gear within our Pro-Shop. What if more than one person in my family would like to sign up? We are family owned and operated, therefore, we gladly welcome families at our facility. Simply inquire about group/family rates for each program that peaks your interest. Absolutely not! 80% of our membership base is comprised of members who train for recreational, self-defense, or fitness purposes. However, we welcome those who desire to compete and will assist them in becoming a member of our fight team. Absolutely! You can even fill out your guest waiver and pay your mat fee entirely online! Skip the line, click below to fill out your guest waiver in advance! We do! Give us a call at 559-584-7333 or contact us via our contact form for more information. Want to get in touch with us? Drop us a line at (559) 584-7333 during regular business hours, send us a message on our social media profiles, or type your inquiry in the form below. We'll get back to you as soon as we can. We are licensed to compete in CAMO, CSAC/DCA, IKF, USA BOXING, etc. VFC has been registered as an Official Krav Maga Training Center since 2005.